The area is rich with wonderful cabins that can be rented for a week or a weekend from 2 to 10 people. Please contact the providers directly below and let them know about when you will be vacationing with us here in the Mountains. We look forward to having you as our guests. 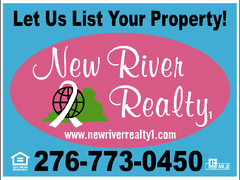 The following are just a smidgeon of cabin rentals in the area...you can check the Yellow Pages or just mention that "New River Realty " sent you.